Confederation Centre of the Arts’ “Pay What You Will’ performance returns to the Homburg Theatre this April with circus company, Chute Libre. On Thursday, April 4 the LaboKracBoom Circus Company brings together its distinctive combination of circus, dance, and physical theatre with this new creation. 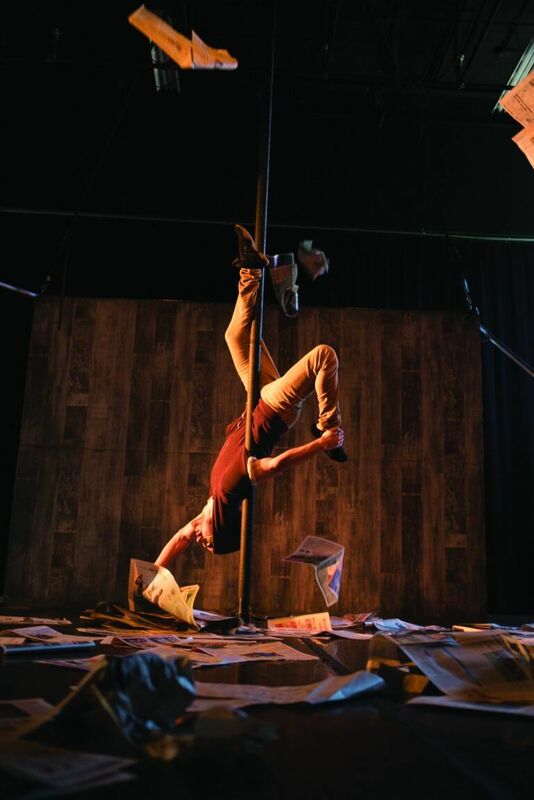 Based in Sherbrooke, Quebec, Chute Libre is a great show for the whole family, presenting a highly physical performance that fuses circus arts, contemporary dance, and theatre. Five featured artists play with risk, trust, gravity, and tension. Imagine a combination of contemporary dance, parkour, partner acrobatics, Chinese pole, aerial hoop, and live music…all in a 60-minute show! Presented as part of Sobeys LIVE @ the Centre, this “Pay What You Will” performance works exactly how it sounds! Attendees still need to book seats by visiting the Centre box office, calling, or booking online, but, at the end of the performance, patrons are asked to submit any amount they wish by using a provided envelope. Chute Libre hits at the Homburg Theatre on April 4 at 6 p.m., a slightly earlier show than normal. For more information, please visit the Confederation Centre’s box office or call in at 902-566-1267 (toll free at 1-800-565-0278). How does a Pay-What-You-Will Work? You still need a ticket for the show–you can book your seats by visiting our box office, by phone 1.800.565.0278 or online. You decide the price of your tickets! When you attend the performance, we’ll provide you with an envelope, and will ask you to pay whatever amount you wish (based on your own individual experience) following the show, using cash, credit card, or cheque.